Tala Nabulsi holds an MA in Women Studies, a BA in Political Science and is a Certified Project Management Professional (PMP) since 2006. 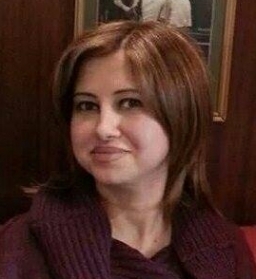 Tala joined TakingITGlobal in 2006 as a Translation and Editor Volunteer, and in 2007 was appointed the Arabic Language and Engagement Coordinator. In 2008 she became the project manager for Youth for Change pilot phase which was implemented over the year and is currently managing phase II. During 2008, Tala was also chosen as an e-mentor in TakingITGlobal's "MakeITHappen" e-course on project management, which is now renamed as "Sprout". Tala has 10 years of project management and training experience and has previously worked with UNIFEM and other international organizations on women, youth and culture projects in Jordan and Canada. In addition, she co-founded the National Forum for Youth and Culture, a Jordanian youth-led NGO and is now a member in a number of national and international organizations.